In Dubrovnik, spring comes early. While much of Europe is cold and dark, in Dalmatia’s far south, clear blue skies and warm sunshine typify the early months of the year. If you visit in spring, it might now be warm enough to swim in the sea but you can relax in short sleeves with a glass of wine and color your cheeks as you gaze over the Adriatic Sea. Early spring is also a good time to find a table and a room on the main street. Although Dubrovnik is gearing itself more and more to being a year-round destination, the crowds don’t really start flocking here until July. You will be able to admire the historic facades of the Ragusa Republic without having other pedestrians hinder your view. This timeless, photogenic backdrop has not been lost on leading international filmmakers, who have recently chosen Dubrovnik as the ideal location for episodes of the hit TV show “Game of Thrones” and the eighth in the series of “Star Wars” movies. Dubrovnik has always held a great attraction for Hollywood, whose starts flock here for pretty much the same reasons that you do. It is gorgeous, romantic, atmospheric and relaxing. Take it all in from the air by zooming up the side of Mount Srd in the bright orange cable car, with extraordinary views of city and sea unfolding as it climbs. Back down below, you’ll see most activity around the Old Port. The regular boat line from the Old Port to the nearby island of Lokrum runs every half an hour. You can be drinking a beer in Dubrovnik’s main square and exploring this strange and sacred island in less than half-an-hour. Dotted with diverse ruins and remnants Lokrum has long been given over to nature. Today it is a UNESCO protected island reserve, with secluded beaches, exotic birdlife and a lake of warm saltwater. Local firms offer sea-kayaking jaunts to and around the island, an easy, safe and wealthy way to spend the day. Beginners are given a quick lesson in kayaking before setting off. Outdoor activities abound in Dubrovnik. You can take horse-riding tours of the countryside around Dubrovnik and adjoining Konavle, an 11km trail through olive groves, pine forest and rocky stretches of the seaside with breaks to take in the spectacular views. Diving is another popular local sport, the clear waters around Dubrovnik’s coast allow for divers of all ages and abilities to take in the multi-colored sea life. Of course, early spring might be too early to dive but if you are adventurous, it might be worth a try. There are many things to do in Dubrovnik in spring before the tourist season gets into full swing. 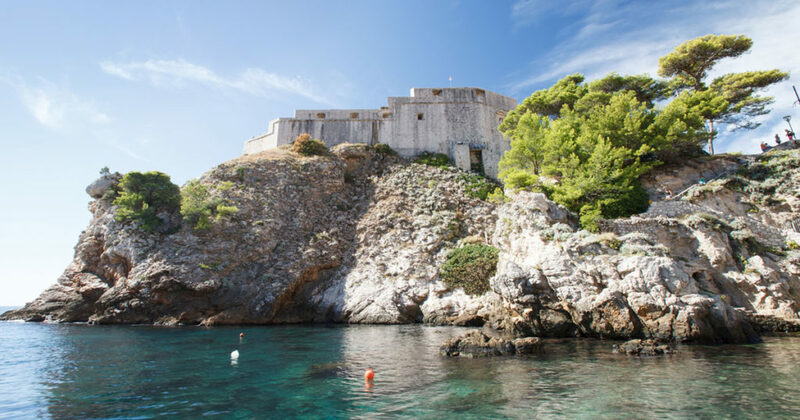 If you are a fan of “Game of Thrones” or just a history buff, allow Tour the Game of Thrones to take you on a walking tour adventure to see locations where scenes from the show were shot. There is much history behind the iconic scenery and touring it will tell you the whole story. Come Visit Dubrovnik in the spring! How do you provide a tour for 3 adults, 1 teen, 2 children, 2 in their 70's, and 1 GOT fan? I don't know how but Tom did and kept everyone happy. From the tour through town, to walking the walls, to video clips of GOT he kept everyone engaged for over 3 hours. He even arranged lunch at a wonderful local ethnic restaurant by the Spanish steps. Dubrovnik sells itself but Tom made this port the unanimous favorite of the cruise. This was my first time working with this website and I highly recommend it.